WASHINGTON, DC -- Russia’s decision to cancel a longstanding high school exchange program with the United States has had one result that the Kremlin may not have anticipated: more slots open for students from Ukraine. Victoria Nuland at Shevchenko University in Kiev, Ukraine. The exchange program, which was established after the end of the Cold War, provides scholarships for students from the former Soviet Union to live with an American family and study at an American high school. Nearly 240 Russian students are in the program. But last week, Russia abruptly announced that it was withdrawing after one of its students sought asylum in the United States on the grounds that he would face persecution at home because he is gay. American officials said Tuesday that half of the slots that would have gone to Russian students during the next academic year would instead be allocated to Ukrainians. Ukraine currently has 204 exchange students in the program, and the decision will expand that number to more than 300. The remainder of the Russian slots will go to Georgia, Moldova and Armenia. 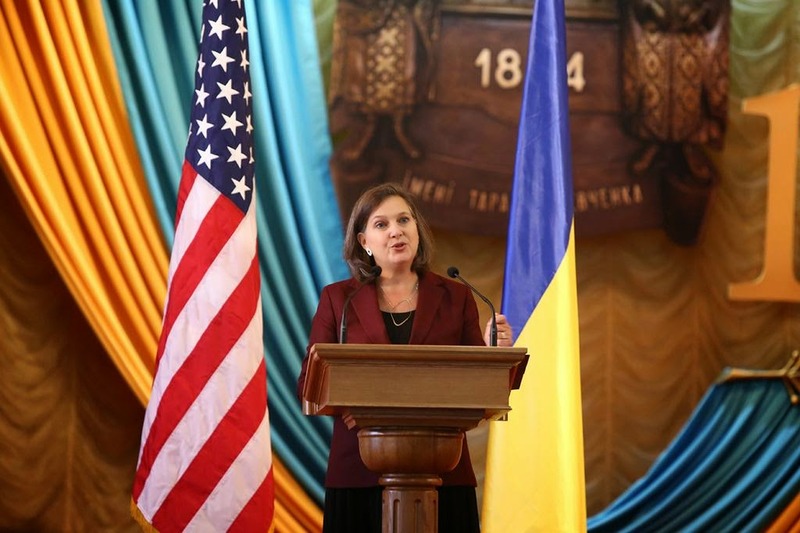 Victoria Nuland, the State Department’s top official for European and Eurasian affairs, disclosed the change in a speech on Tuesday at Shevchenko University in Kiev, Ukraine. “We hope that we’ll be able to restore our program in Russia in the not-too-distant future,” she added. Russian students currently in the United States will be allowed to complete the academic year here. “We also hope Russia will reconsider,” said Lisa Choate, the executive vice president of the American Councils for International Education, which runs the program. The program is highly competitive, and the 769 students who enrolled this year were picked from about 40,000 applicants. Former Senator Bill Bradley, the New Jersey Democrat, played a critical role in creating the program, which was established in 1992 and is financed by the United States government. Susan Reed, the supervising lawyer with the Michigan Immigrant Rights Center, who is representing the student at the center of the dispute, declined to provide many details about the case, citing privacy concerns. She said the student, who is 17, “was afraid to go home” and had been put in federal custody through the Department of Health and Human Services Office of Refugee Resettlement. The teenager, Ms. Reed said, has been placed by the government into foster care.